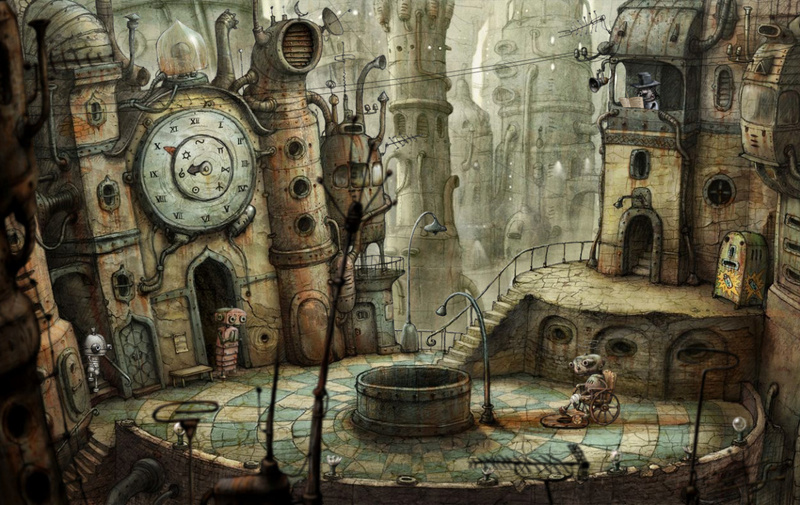 Machinarium is Amanita Design's first full-length adventure game in which players take on the role of a robot who has been exiled to the scrap heap. Players must use logic, collect important items, and solve environmental puzzles to get the robot back into the city of Machinarium so he can rescue his robot-girlfriend, save the head of the city, and defeat the bad guys from the Black Cap Brotherhood. Music for the game was made by Tomas Dvorak aka Floex.